Sylhet Office : The Surma, known as the lifeline of Sylhet, is ailing due to severe pollution, land encroachment and sand extraction. But the authorities concerned are doing little to save the river. 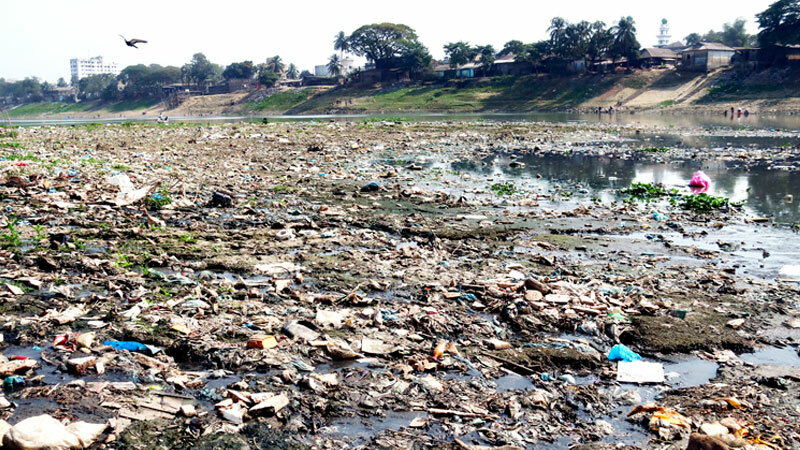 When contacted, the Sylhet Water Development Board said the Surma river banks in the city areas are recorded as khas land. So, it is the duty of the deputy commissioner’s (DC) Office to take a decision on starting eviction drives, it noted.